What does it take to erase memories of the atrocities of war? Many a veteran of conflict struggle with this question. 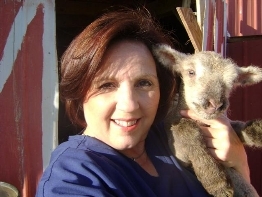 Through withdrawal, social faux paux, story telling or even failed self-medication with mind altering substances they attempt to numb the horrific images, sounds, nightmares, panic attacks, moral questioning paranoia and psychoses as survivors of war. Welcome to the world of post-traumatic stress disorder. Our Vietnam veterans attempt to cope with this each and every day. They celebrate their successes in reunions and camaraderie, but for some, when they return home and are alone in their private thoughts, the negative thoughts return. Like an incessant, never-ending trauma. In 2012, I had the fortuitous luck to come upon a pilot’s manuscript called ETERNALLY AT WAR while researching the Vietnam Center and Archives at Texas Tech University. From its first pages, I was captivated. 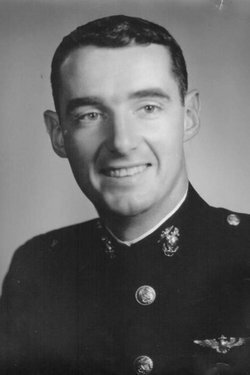 Captain Robert “Gene” Lathrop was a Marine pilot for VMA 311 out of Chu Lai. He was writing about the base and USO club I wanted to feature, Chu Lai and was also writing about the air war in Vietnam. 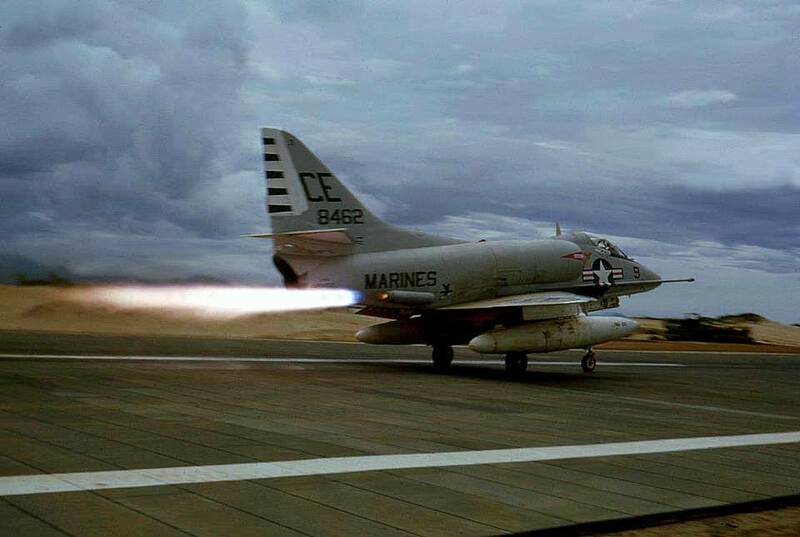 He flew the McDonnell Douglas A-4 Skyhawk. The plane I wanted to write about. What luck! Who knew that graduate students had taken scads of oral histories recorded, photographs, manuscripts, and memorabilia and converted them to digital medium for preservation. The Vietnam Center at TTU was a goldmine! How awesome that the intimate details of this controversial war were being preserved! As a Red Raider alum, I had no idea this even existed! Way to go Big Red!! Using some sleuth techniques, I was able to track down Gene’s address in Washington. After thoroughly devouring his manuscript, I was anxious to speak to him about its content. I reached his wife who informed that sadly, Gene had passed away only months before. I was heartbroken. I explained that I was a writer and what I wished to do with the material. After some thought, she graciously granted me the rights to utilize some of his stories for my historical fiction novel SOLO VIETNAM. As I was crafting SOLO VIETNAM, I propped Gene’s picture up next to the computer. It was like we were penning it together. I felt honored to be in his world and indeed his presence. SOLO VIETNAM featured many of Gene’s missions which were weaved into my feature character, a Navy pilot with VA 153 off the USS Coral Sea CVA-43 WestPac cruise of 1967-68. SOLO VIETNAM was awarded the silver medal by the Military Writer’s Association, featured at Tailhook 2014 by the A-4 Skyhawk Association, and won fourth place in the Readers’ Favorite 2014 book awards. Gene would have been so proud. 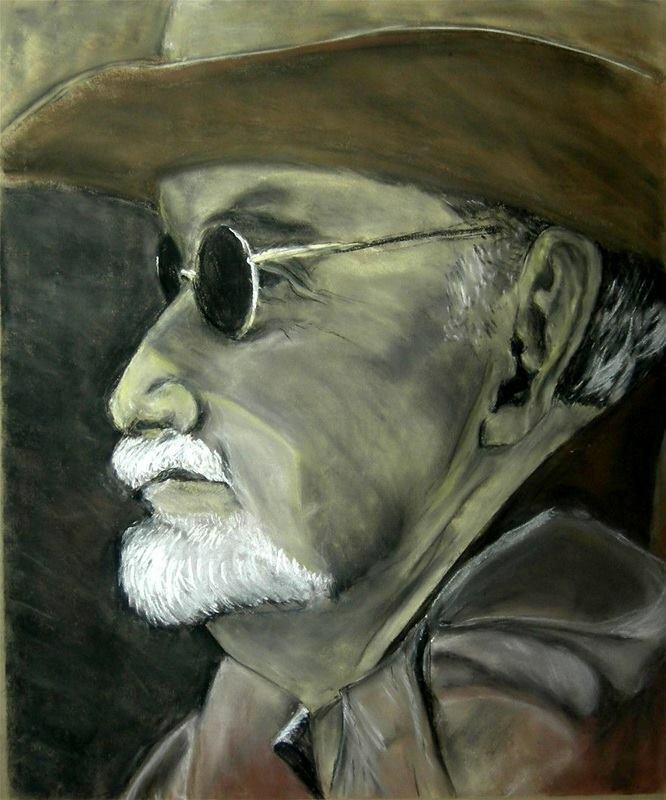 After reviewing the books, his wife asked if I would turn his entire manuscript into a memoir. I was honored and said “YES! !” During the research for ETERNALLY AT WAR’s production, we discussed including how post-traumatic stress disorder greatly affected many of the veterans returning from Vietnam. She revealed how it had impacted Gene some ten years after his return. How initially, no one knew what it was. Gene’s sister related how many family members and friends would politely smile, yet roll their eyes, tired of his repeated stories. She requested that I cover that in the book, as a message to others. Again, I was humbled to be challenged with the task. But Gene sent me an internal message from above. He had a better idea. Going back into the archive, I discovered that the graduate students had been very busy beavers indeed. There now were several documents in the archive, including a manuscript of Gene’s poems and an oral transcript. His family was thrilled. It was amazing to hear his voice. Although I continue to work on ETERNALLY AT WAR, I am pleased to announce that Gene’s other book, a collection of poems written about his experiences flying in Vietnam, the conflict, and the aftermath will be released in time for Christmas 2015!!!! It is called THE DARK SIDE OF HEAVEN. So make your plans now to reserve a copy of the beautiful collection of prose, photography, and pen and ink drawings depicting the Vietnam conflict and its aftermath to be published by AgeView Press. I feel strongly that Gene is dancing a jig to know that his words will find meaning in the comrades, friends, and families of Vietnam veterans affected by the perils of PTSD. He believed the required acts delegated to servicemen during war inflicted a moral bankruptcy which threatened their psyche and well being upon their return. Thus provoking PTSD. Enjoy an excerpt, indeed the title poem from the upcoming release THE DARK SIDE OF HEAVEN. It’s two in the morning here comes the fire. They’re still shooting low, but they’ll walk it up higher. I’m on bearing to target, ten thousand to go. For a shot of French cognac, and some time in the rack. Heading south to recovery and just watch the war. I’m totally drained and this planes not the best. to the west of Dong Ha, the ground will be red. “I see it, Vice Squad, it’s that big floating dock. “I’m coming in approach, and takin’ a wire. I’ll be going in hook down, without my night vision. The center of Hell would be at Chu Lai. I’ll be takin’ the wire, just like in a book. The arrest was just perfect, I’m so good it’s a sin. But on the Dark Side of Heaven such matters don’t count. It’s a hell of a home, but it’s ours at Chu Lai. This wonderful post is a bit long, but worth the read! Great spin and take on fighter pilots vs. attack squadron pilots. It was written by my dear friend and colleague, the iconic Zalin Grant, whose book Over the Beach is considered the book about the airwar in Vietnam. Enjoy and please post a comment! He would love to read them. Did He Show the Right Stuff? John McCain received mixed reviews from fellow pilots when he arrived on the USS Oriskany in 1967, a month before he was shot down and captured. Cal Swanson, commander of fighter squadron VF-162, was enthusiastic. Swanson thought McCain proved he had the right stuff by getting himself assigned to the Oriskany, an aircraft carrier sailing off the coast of North Vietnam in the South China Sea. The Oriskany had seen more combat and suffered heavier casualties than any ship in the Vietnam War. McCain’s own aircraft carrier, the USS Forrestal, had been put out of action by a horrific fire two months earlier. 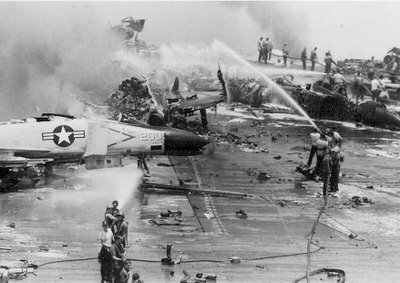 After the Forrestal fire, McCain was assigned to Saigon as a navy PR aide. He was perfect for the job—handsome, charming, witty. He had met R.W. (Johnny) Apple, a well-known reporter for the New York Times, and Apple had smoothed his way in Saigon by introducing him to journalists and to the U.S. military and civilian command. John McCain could have served out his tour flacking for the navy and having a lot of fun doing it—dining at Saigon’s French restaurants and hitting the bars full of pretty Vietnamese girls. But McCain wanted to get back into combat. He had completed only five missions before the Forrestal fire. Cal Swanson thought McCain’s attitude reflected well on his courage and patriotism. McCain would not be joining VF-162, Swanson’s fighter squadron, however. McCain was not a fighter pilot, although in later years the media would perpetuate the mistaken belief that he was. Trained as an A-4 bomber pilot, he was assigned to attack squadron VA-163, which had an illustrious history. James Stockdale, a legend in the war, had commanded the squadron—and the air wing—before he was shot down and captured. Still, a lot of pilots on the ship were not as enthusiastic as Swanson about McCain. They were not really convinced that he had the right stuff. Naval aviation was a small, tightly-knit community made up of highly-trained men with large egos and a fiercely competitive nature. Even if they did not know each other personally, everybody was linked together via the gossip hotline, and McCain’s reputation had preceded him to the Oriskany. Some of the negativity was not his fault. His family background was bound to stir skepticism and jealousy. McCain’s grandfather had been a highly-decorated admiral in World War Two. His father, John S. McCain II, also an admiral, would soon become commander-in-chief of all forces in the Pacific, making him the highest ranking officer in the Vietnam War. In military terms, John Sidney McCain III was born with two silver spoons in his mouth. It was something he evidently considered later in life to be both a blessing and a curse. Nevertheless, McCain had acted as though he was determined to show all those who were inclined to think the worst of him that they were right. As he wrote in his book Faith of My Fathers, “I did not enjoy the reputation of a serious pilot or an up-and-coming junior officer.” His record as a midshipman at the U.S. Naval Academy was dismal. He piled up demerits left and right for breaking the rules, and barely passed his schoolwork, graduating 894th in a class of 899. That might have been checked off to youthful rebellion. Plenty of kids spent their college years partying but then sobered up after they were slapped in the face by the reality of making it in the outside world. But after he left Annapolis, McCain continued to show the same attitude that had almost got him kicked out of the naval academy. He barely passed flight school. And then he crashed two airplanes and damaged a third. The first crash took place during advanced flight training at Corpus Christi, Texas. According to McCain, the engine stalled while he was practicing landings. The plane fell into the water of the bay just off the airfield and knocked him unconscious. McCain woke up and somehow managed to get out of the cockpit and escaped serious injury. Investigators reported that they started the recovered engine without any problem, and their report left open the possibility of pilot error. Worst naval accident since WWII. McCain’s plane was struck by a missile aboard the USS Forrestal. The next accident took place in Spain while McCain was assigned to an aircraft carrier in the Mediterranean Sea. He tried to fly his propeller-driven A-1 fighter-bomber under a row of pylon-supported electric power lines. This was a “hotdogging” stunt by U.S. pilots in Europe that had caused outrage. McCain’s plane hit and damaged the lines so badly that thousands of people lost power. In 1965, McCain flew a navy airplane to Philadelphia to attend the Army-Navy football game. On the way back to his base in Norfolk, Virginia, the plane’s engine quit, he said, so he bailed out. The plane crashed and was destroyed. In the U.S. Navy, for a pilot to crash one plane was pushing it. To crash two often resulted in an official investigation to determine if he should be taken off flight status. How McCain got away with crashing two airplanes and smashing power lines in Spain was a mystery, although other pilots thought it had to do with his family connections. 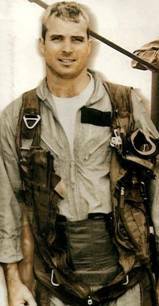 McCain volunteered for Vietnam and was assigned to an A-4 bomber squadron on the USS Forrestal. He was soon to be 31 years old and held the rank of lieutenant commander, equal to that of army major. On the morning of July 29, 1967, McCain was sitting in the cockpit of his Skyhawk waiting to be launched by the ship’s catapult. Another plane accidentally set off a Zuni missile that hit the fuel tank of McCain’s A-4, touching off a fire that spread rapidly across the ship. McCain managed to escape injury, but 134 sailors died and many others were badly burned. It was the worst U.S. Navy accident since World War Two and the fourth serious accident McCain had been involved in since becoming a pilot. His reputation for being a “hotdog”—a show-off pilot who broke the rules—led to rumors that McCain had caused the fire by trying to scare the pilot behind him by suddenly shooting flames out of his tail exhaust. There was no evidence McCain was at fault and the fire was ruled accidental. But the rumors persisted. The USS Forrestal fire was the worst naval accident since World War II. It started after a rocket hit John McCain’s plane. McCain’s squadron on the Oriskany was composed of 15 alpha males who spent most of their time when they weren’t flying or sleeping in a ready room no bigger than a medium-sized living room at home. Above all, they admired officers who remained cool and calm under all circumstances. McCain’s squadron commander, Bryan Compton, was considered the ideal officer, though no one wanted to sit near him in the ready room because the flight suit of “Magnolia,” as the squadron called him, usually smelled to high heaven. In any case, Oriskany pilots did not have time to pay much attention to the admiral’s son, because the ship was running bombing operations against North Vietnam on a 24-hour schedule. The Oriskany was a small and undistinguished carrier, commissioned at the end of World War Two. Nobody could explain why the ship had turned into the leading combat carrier of the Vietnam War. It was as though the runt of the litter had grown into a pit bull. The squadrons on the Oriskany were front-loaded with lieutenant commanders like McCain and it was do-or-die time for them in terms of promotions. This doubtless accounted, at least partly, for the carrier’s aggressiveness. These were seasoned professional officers and only the best and bravest would be promoted to the next higher rank of commander (lieutenant colonel) and very few to captain (colonel). The pilots watched each other like hawks, trying to stay even in the number of missions flown over North Vietnam. Always ready to take the risks, they developed tactics to survive the surface-to-air missiles and antiaircraft fire they faced every time they went on a mission. In a war, of course, there was always the factor of luck. Sometimes you just couldn’t avoid getting shot down. But their tactics worked surprisingly well. To evade SA-2 missiles (SAMs), the pilots used a maneuver to confuse the missile’s guidance system. An American electronics plane was flying off the coast during the attacks. When it intercepted the missile’s guidance signals, the plane alerted the pilot as to whether a SA-2 was headed toward him by sounding a tone in his headset. Since the SAM maneuver always worked if executed properly, the biggest danger came from the fire of antiaircraft artillery (AAA). The pilots used the tactic of weave and zigzag to keep from flying into the path of the exploding flak. “We lost more aircraft to AAA than SAMs, though the SA-2 seemed more threatening from a personal point of view,” Duter said. All pilots were taught the tactics to keep from getting shot down. To the American public, every pilot brought down by enemy fire was a hero. But carrier pilots made a sharp distinction between someone who was unavoidably shot down and a pilot who simply made a mistake. Compliments to Zalin Grant. Some fine writing there. Reprinted from Pythia Press with permission. Copyright 2008. For more of his War Tales, follow him on Pythia Press. Find out what happens next . . . in Part II of Did John McCain have the “Right stuff?” next week’s post!